There is a huge misconception with the belief that the R&B Genre is dead. This notion comes at 'no surprise', they wish to ignore that Urban Contemporary Music has seen growth in their audience since 2012 and now considered the Top genre in the US. It's hard for them to let go of the past and accept the new! Their precious "Rock Music" will never come back and country music has seen major declines! 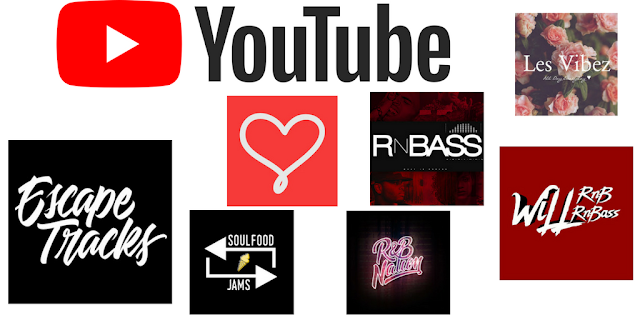 Check out my list of The 7 Best R&B Channels on YouTube below which generated an combined total of over 350 million views! Twitter inc. has shown bias against r&b platforms in the past with only granting verification to thisisrnb. But YouTube which is owned by Google has shown an much better system for rewarding successful pages with an score of '5 out of 7' of the Top R&B platforms listed below earning verification 5 x More than Twitter! This channel for R & B Worshipers New Style RnBass Hip Hop Music Go Corinthians ! Brazil ! R&B Nation is your daily dose of soul, chill, moody, and R&B music. Official partner channel of The Nations. RnBass (R&Bass) is a new music genre, hailing as the evolution of R&B music. A hybrid genre of R&B, Hip-Hop, Pop and other elements merged into one (Digital R&B), the new cutting edge genre is infused with heavy 808's at times, melodic sounds, and real or tone singing.